Higher and higher, v2.0 (Community, Pro & Corp) is ready! Faraday is the Integrated Multiuser Risk Environment you were looking for! It maps and leverages all the knowledge you generate in real time, letting you track and understand your audits. Our dashboard for CISOs and managers uncovers the impact and risk being assessed by the audit in real-time without the need for a single email. Developed with a specialized set of functionalities that help users improve their own work, the main purpose is to re-use the available tools in the community taking advantage of them in a collaborative way! Check out the Faraday project in Github. Two years ago we published our first community version consisting mainly of what we now know as the Faraday Client and a very basic Web UI. Over the years we introduced some pretty radical changes, but nothing like what you are about to see - we believe this is a turning point for the platform, and we are more than happy to share it with all of you. Without further ado we would like to introduce you to Faraday 2.0! Better performance - Faraday will now scale as you see fit. The new server allows to have huge workspaces without a performance slowdown. 200k hosts? No problem! Deprecate QT3 - the QT3 interface has been completely erased, while the GTK one presented some versions ago will be the default interface from now on. This means no more problems with QT3 non-standard packages, smooth OSX support and a lighter Faraday Client for everyone. Licenses - managing a lot of products is time consuming. As you may already know we've launched Faraday's own App Store where you can get all of your favourite tools (Burp suite, IDA Debugger, etc) whether they're open source or commercial ones. But also, in order to keep your licenses up to date and never miss an expiry date we've built a Licenses Manager inside Faraday. Our platform now stores the licenses of third party products so you can easily keep track of your licenses while monitoring your pentest. With this new release we can proudly say we already met all of this year's objectives, so now we have more than four months to polish the details. Some of the features released in this version are quite basic, and we plan to extend them in the next few iterations. Improved executive report generation performance. Totally removed QT3, GTK is now the only GUI. Added some basic APIs to Faraday Server. 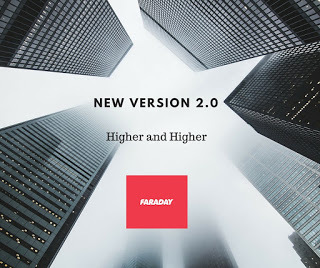 Deprecated FileSystem databases: now Faraday works exclusively with Faraday Server and CouchDB. Improved performance in web UI. Added licenses management section in web UI. Fixed bug when deleting objects from Faraday Web. Fixed bug when editing services in the web UI. Fixed bug where icons were not copied to the correct directory on initialization. Added a button to go to the Faraday Web directly from GTK. Fixed bug where current workspace wouldn't correspond to selected workspace on the sidebar on GTK. Fixed bug in 'Refresh Workspace' button on GTK. Fixed bug when searching for a non-existent workspace in GTK. Fixed bug where Host Sidebar and Status Bar information wasn't correctly updated on GTK.